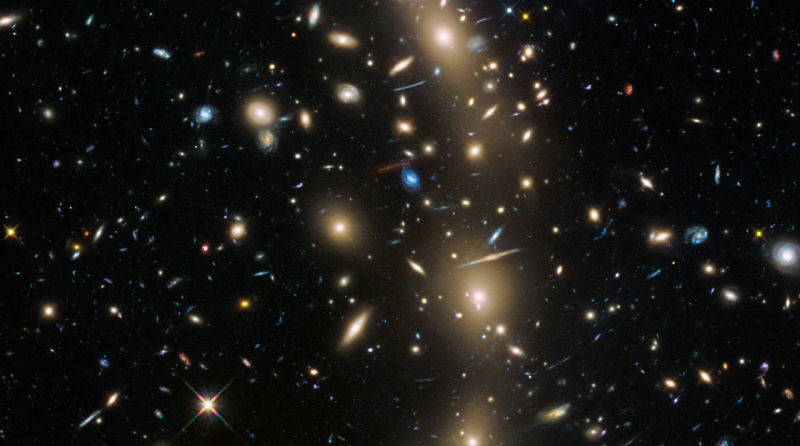 Astronomers, using the Hubble Space telescope and few other observatories, finished the most precise survey of galaxies in the visible universe to date. So if we talk about actual number, let’s just say we were way off. The observable universe—the portion of the universe that’s detectable to us on Earth—comprises 10 to 20 times as many galaxies as previously estimated. That increases the total number of galaxies to somewhere between one and two trillion, which is up from the earlier best approximation of 100 billion galaxies. Therefore, this means we also have to bring up-to-date the number of stars in the observable universe. So now the total number of stars is around 700 sextillion. That’s a 7 with 23 zeros, or 700 thousand billion billion. One thing to remember here is that those numbers of stars and galaxies just contained by the observable universe. Because the cosmos appeared some 13.8 billion years ago, we’re only able to detect objects up to a definite distance from Earth. Anything existing outside this “Hubble Bubble” is undetectable to us since the light from these distant matters basically haven’t had enough time to reach us. It’s hard—if not impossible—to figure out how many galaxies exist outside this cosmological blind spot. So in order to come up with the fresh figure, an international team of astronomers directed by Christopher Conselice from the University of Nottingham, UK, used deep space images captured by Hubble Space telescope, and united them with data composed by other astronomers. The images were transformed into 3D, permitting the scientists to make precise measurements of the number of galaxies at numerous stages in the universe’s history. The outcomes of this newest celestial survey, which are set to be issued in the Astrophysical Journal, displays the significant degree to which galaxies have developed over the course of the universe’s history. With the help of new mathematical models, the astronomers were also able to conclude the presence of galaxies that the present generation of telescopes cannot perceive. The scientists say there must be additional 90 percent of galaxies in the observable universe that are too faint and far away for us to observe with current telescopes. It boggles the mind that over 90 percent of the galaxies in the universe have yet to be studied. Who knows what interesting properties we will find when we discover these galaxies with future generations of telescopes? Certainly, future telescopes like the James Webb Space Telescope will let us study these ultra-faint galaxies.